There are so many compelling scientific reasons why breakfast is considered the most important meal of the day. Breakfast sets the pace for your metabolism, it packs your body with the necessary energy for the day’s work, it curbs cravings and helps prevent overeating, and supports healthy blood sugar levels. 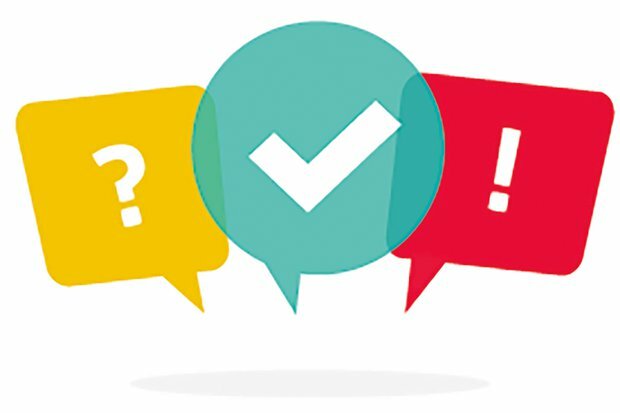 These are just a few reasons behind this popular belief. But did you know that what you drink before your meal can be just as important? You should not just be thinking of your breakfast food but your healthy morning drink as well! Warm water on an empty stomach is still the most natural and easiest, yet beneficial drink in the morning. Both western and traditional medicine practitioners would agree that drinking this first thing when you wake up is good for the body. 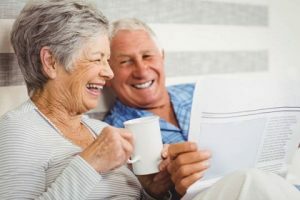 In fact, the Japanese medical society encourages this practice as they believe it can help alleviate headaches, body aches, cardiovascular diseases, respiratory diseases, gastrointestinal symptoms, kidney diseases, metabolic disorders, as well as conditions related to the eyes, ears, nose, and throat. 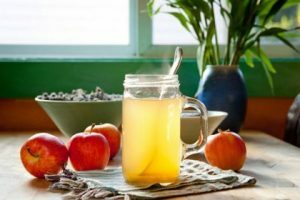 Aside from warm water in the morning, here are 5 other natural and easy drinks that you can take daily. These are quick and easy to make, perfect for those itching to start their day. Aside from its flavor and aroma, there are more reasons to love lemon water before breakfast. 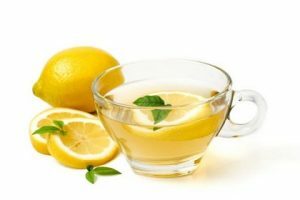 Warm lemon water on an empty stomach not only stimulates digestion, but also stimulates the liver and bile, helping with liver detoxification. Citrus flavonoids in general have a large spectrum of biological activity including antibacterial, antifungal, antidiabetic, andticancer, and antiviral activities. As a good source of vitamin C, lemon extract in warm water may help boost the body’s immune system. This is why it is a popular drink among those recovering from sickness especially colds and cough. Lemon water also has a soothing effect on the throat and chest, providing reprieve from those suffering from respiratory diseases. For digestion, lemon helps a lot too! Have you noticed how its sour smell and taste make you salivate? It helps in primary digestion even before you swallow it. When ingested, the flavonoids in lemon water help in the breakdown of macro molecules of the food and increase the secretion of digestive juices, bile, and acids. It even stimulates the peristaltic motion of our digestive system. This also makes it an effective and healthy morning drink for those suffering from constipation. For better digestion, stronger immune system, and natural detoxification, what better way to start your day than having your cup of warm water with a little bit of lemon! Take note, it should be water with apple cider vinegar (ACV) and not the other way around. And more importantly, don’t drink it straight like an ACV shot! Taking it pure in big amounts can hurt your throat, teeth, and stomach, causing more harm than good. The usual ratio for this morning drink is 1-2 tablespoons of ACV for every 8 ounces of water. Vinegar belongs to our gallbladder food list, which means that it’s helpful in all gallbladder conditions. And among all types of vinegars, ACV provides the most health benefits. ACV is unfiltered and more natural, thus its yellow or brownish color. It is made from fresh, crushed apples and fermented in wooden barrels. It is pungent and its ripe aroma may hurt your eyes too but if taken in perfect amounts, it can do wonders for your health. In fact, the early Greek doctors like Hippocrates used it to help treat various ailments. No wonder why it’s part of our healthy morning drink list. support the body’s natural detoxification process. Salt is widely used in allopathic medicine. From sore throats, to colds, to mosquito bites, toothaches, and even simple poisoning, you can find a lot of medicinal uses for salt. On top of these, we suggest that you try taking this as your regular healthy morning drink together with your first drink of warm water. Take note, it should not be ordinary refined white table salt. It must be a mineral salt like Himalayan Crystal Salt or Celtic Sea Salt. Himalayan salt has health benefits that common table salt does not possess because of its trace minerals. 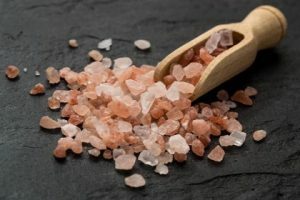 It’s those minerals that benefit the body and serves as the source of the salt’s unique color and flavor. The Himalayan salt water “recipe” is referred to as sole water (pronounced as ‘so-lay’). It literally means fluid sunlight, giving us a clue of all the different health benefits it imparts. To make it, just fill your jar or pitcher with Himalayan Salt Crystals ¼ of the way. Then, add water, leaving only about an inch to the brim. Put on the container lid and shake the jar gently. Leave it overnight for the salt to dissolve. After 24 hours, the solution is estimated to be saturated at 26% and ready for consumption. Taking 1 teaspoon of that solution with a glass of warm water is enough to start your day. help to break down the heavy metals accumulated in the body. I love turmeric! And in our previous blog about the wonders of this spice, we discussed its components at length and how these support our bodies. 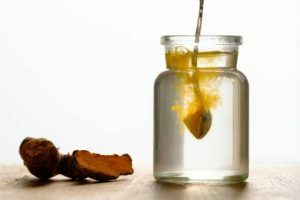 A pinch of finely ground black pepper may also be added to the turmeric water for maximum benefits. To learn more about the powers of turmeric, read our full blog here. 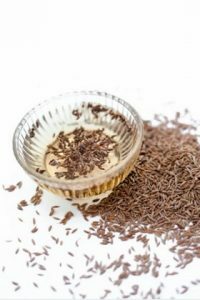 Aside from turmeric, another spice that could be used for your healthy morning drink as you start your day is cumin. Cumin is a very popular ingredient in cooking and it is found in a lot of spice blends. It is used to flavor soups, meats, cheese, bread, and pickles. Cumin is also used as a fragrant component for beauty products such as perfumes, lotions, and creams. As a medicinal herb, cumin has anti-inflammatory, diuretic, carminative, and antispasmodic properties. Cumin in water, also called jeera water, has a lot of health benefits. Jeera water is good for detoxification. Cumin seeds contain flavonoids like apigenin and luteolin. Its main constituent, cuminaldehyde, also helps in scavenging reactive oxygen species. It is a good source of fiber as it contains as much as 45% crude fiber. Cumin in jeera water is an excellent source of minerals like potassium, manganese, and iron. Because of its antimicrobial activity, cumin water is used as an anti-congestant drink in Ayurvedic medicine. beneficial for those with digestive symptoms like dyspepsia, jaundice, indigestion, flatulence, and diarrhea. Behboudi, H., Esmaeilipour, O., Mirmahmoudi, R., & Mazhari, M. (2016). The Influence of drinking water containing lemon juice and thyme supplemented diet on performance and some blood parameters of broilers under heat stress. Iranian Journal of Applied Animal Science, 6(1), 169-174. Beheshti, Z., Chan, Y. H., Nia, H. S., Hajihosseini, F., Nazari, R., & Shaabani, M. (2012). Influence of apple cider vinegar on blood lipids. Life Sci J, 9(4), 2431-40. Hendel, B., & Ferreira, P. (2003). Water and Salt, the Essence of Life. Natural Resources, 251. Ho, C. W., Lazim, A. M., Fazry, S., Zaki, U. K. H. H., & Lim, S. J. (2017). Varieties, production, composition and health benefits of vinegars: A review. Food chemistry, 221, 1621-1630. Mohanapriya, M., Ramaswamy, L., & Rajendran, R. (2013). Health and medicinal properties of lemon (Citrus limonum). J Ayu Her Med, 3(1), 1095-100. Zsigmond, P. A. P. P. (2016). Morphological and microchemical characterization of Himalayan salt samples. Rev. Roum. Chim, 61(3), 169-174.